As Carrington Institute's most promising new Agent, Joanna Dark must uncover the truth behind the dataDyne Corporation's recent technological breakthroughs which could have serious consequences for mankind. 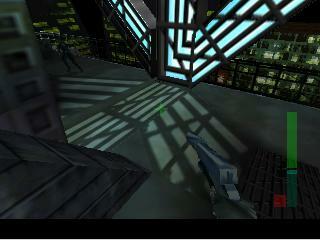 In Perfect Dark, players are sent on a fast-paced adventure from downtown Chicago skyscrapers to underground labs to undersea wrecks of otherworldly origins. 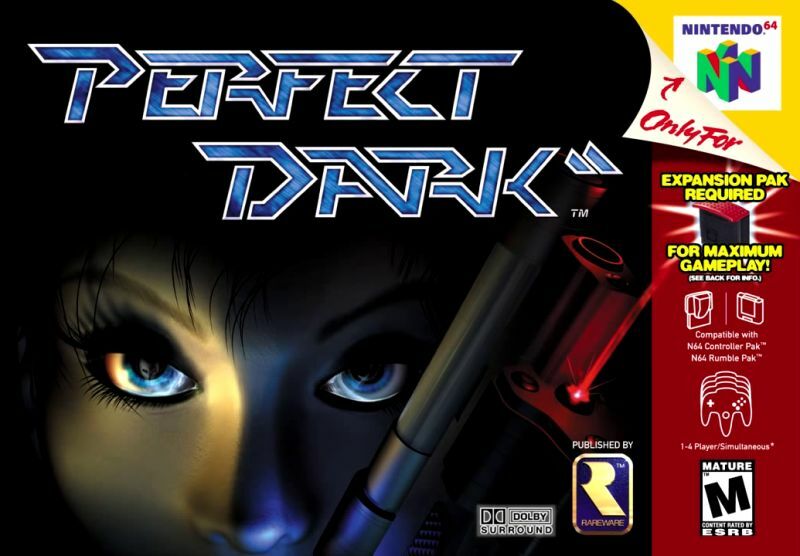 A first-person shooter that mixes spy and Sci-Fi, Perfect Dark is both a thoroughly engrossing one-player experience as well as a riotously fun multiplayer romp. 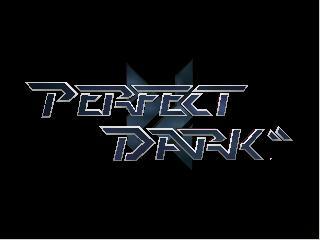 I always felt they took Goldeneye and improved the game in every aspect to make Perfect Dark. Such an amazing game. Loved this game as a child. It came so fast and looks brand new. I’ve never seen a more flawless cartridge. Definitely recommend this game. This game came in excellent condition, only problem was that i didn't realize i needed the expansion pak to get the full experience. Well i know where I'm getting mine! Thank you again! awsum guys dont know how to thank you brings back alot of memorys love pefect dark and the other game i got thanks again no lag or nothing either total 5 stars!!! Game works perfectly, international shipping to Canada worked great. 5 Star Service here at Lukie. game works very well and game kept in very good shape, fairly cheap for a game comparable to goldeneye. I will compare this game to Goldeneye since it is an other of Rare's game(1997), the addition of bot is amazing in multiplayer as well as better shooting feeling then goldeneye. Although level design kind of lacks in my opinion in single and multiplayer to goldeneye, overall very similar fun compare to goldeneye. 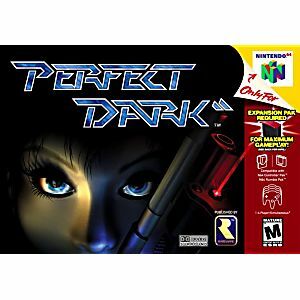 Maybe perfect Dark would of been more popular if it came out sooner or closer to when goldeneye came out (1997,2000). often called the spiritual successor to Goldeneye, this Rareware gem is a classic! And I got it free by using my Lukie points! (110 points). How about that? Pretty cool, says I, pretty cool indeed! It is an amazing looking n64 game. It has great game play, amazing music, great story, and gave me hours of fun. Requires n64 memory expansion but a small price to pay for this game. Must play if you like golden eye on n64 or like first person shooters. This site is awesome. A lot of great games like this at decent prices. Shipping is cheap unless you want your games shipped next day or something. From there warehouse to Ohio takes less than a week. You also get Lukie points which is a lot better than what GameStop or most other game stores do. Everything I get from this site always works and is in great shape. The game cartridge arrived in great condition. It was WELL used. Still has the original stickers. This game is near impossible to find at yard sales and such. I am super excited to play this game it's been a very long time. The Game was in great shape and it brought back a lot of good memories. The video games of today may have a graphic advantage but the old classics still have great game play. Thanks Lukie Games!